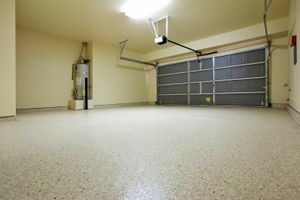 Comment: We are looking for quotes to make some minor repairs to our concrete garage floor and then put down a coating/sealant. Comment: Door wont open and keeps getting stuck. I have to push it up as my wife pushes the button. Comment: Fischer home, almost six years old. I had two door rollers on the garage break within a one week span, both on top. This caused the top of the garage to come off the track on one side. I replaced the rollers but wanted to have someone come out to confirm that the track doesn't need realigned from years of the house shifting. Comment: Brand new home, tracks and door already installed. I gave the motor just need it installed. Grove City Garage & Garage Door Services are rated 4.76 out of 5 based on 1,595 reviews of 25 pros. Not Looking for Garage & Garage Doors Contractors in Grove City, OH?